Information Security Career Path – In the world of medicine, it’s not possible to become a neurosurgeon or a cardiologist overnight but requires foundation training in medicine(MBBS) followed by further specialization in medicine or surgery before going for super specialization. Likewise, the world of information technology (IT) has become a field of specialists just as in medicine the progression in the career would depend on how much more specialized study you have done after the foundation training in engineering. The world of information security career path (IS) comprises of specialized computer and IT professionals whose job it is to prevent intrusion by hackers into an organization’s computer system. They are the equivalent of social security careers personnel who physically guard with or without arms in the premises of an organization to prevent theft or burglary. Information Security career path is about technology and the first step towards it is by obtaining a bachelor’s degree in engineering preferably in IT or computer science. The degree from a reasonably good university should enable you to be familiar with computer programming (coding), languages, database management, operating systems, computer hardware, networking, and so on. Without knowledge of coding or programming, you may have to depend on someone else all the time to complete a task and without an information security career path awareness, it wouldn’t be possible to reach anywhere in IS domain. 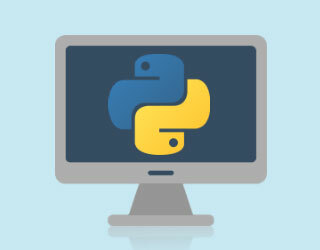 Without programming skills, it may not be able to reach higher management functions. Programming, networking, database and system administration are three areas where any IS architect needs to have a firm grounding. It is better to work in different areas of programming including object-oriented programmings such as C, C+, and HTML (Hypertext Mark Up Language) and Java that was designed for the web apart from SQL (standard query language) that is suitable for managing databases. In the networking arena, knowledge of TCP/IP (Transmission Control Protocol) and Internet Protocol (IP) apart from routers, switching is essential. TCP/IP enables connection between computers either through wired or wireless networks by splitting data into packets and reassembling at the receiving end. 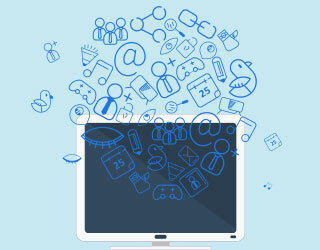 Switching enables sharing of resources between computers, printers, scanners and imaging devices within premises or outside while routing enables connecting the networked computers to the internet. Routers are responsible for analyzing the data sent over a network and repackaging it before being sent to another network. Routers and switches enable seamless data, voice, and video communication for companies through the high-speed internet. Routers are gate-keepers of information flowing within and out of organization’s data network. Firewalls and intrusion detection systems in routers are responsible for keeping external threats or attacks at bay. Built-in firewalls and intrusion detection/prevention and they have built-in firewalls and intrusion prevention. System administration involves maintaining multi-user computer networks over Local Area Network (LAN) or Wide Area Networks (WAN). The system administrator is responsible for adding new configurations, devices, maintaining servers, installation of software, anti-virus solutions, documentation of system, backup and recovery, installation and updating of operating systems. After gaining knowledge and exposure to networking, system administration and programming, it may is beneficial to attain certifications in any of the core areas where the IT professional seeks to gain expertise. For example, there are globally recognized information security career path certifications, security, and programming. Some of the popular ones are CCNP Security (Cisco Certified Network Professional Security) and CCNA by Cisco. They validate the skills of the network engineer in deploying and managing firewalls, virtual private networks, and intrusion prevention/detection systems. CCNA (Cisco Certified Network Associate) is a stamp of competence for the engineers in installation, operation, troubleshooting of networked organizations. In systems administration, Microsoft Certified Solution Expert (MCSE), Linux Professional Institute Certification (LPIC), Red Hat Certified Engineer (RHCE), VCP6 –DCV (VM Ware Certified Professional 6 Data Server) and CompTIA Server + are the top-rated ones. Certified Information Systems Security Professional (CISSP) is awarded by International Information Security career path Certification Consortium (ISC) for overall competency in information security implementation in organizations. For programming and developer skills, there is the Oracle Certified Java programmer for the discerning to go up higher in the career. 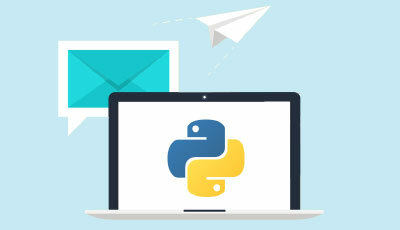 Once you have mastered the basic computer knowledge and skills, got exposure to working on networking, programming and system administration, then it’s time to build up your interest and expertise in hacking and penetration testing. You can become an ethical hacker by gaining skills to identify the loopholes in websites, networks to evaluate how secure their system is. They employ the same techniques and strategy as a hacker does to intrude into a system. Penetration testing is closely allied to hacking and is used to gain access to a system without passwords, data, usernames or other resources but with the knowledge the owner of the system or website. Their success depends on finding vulnerabilities in the system. The highest certification in ethical hacking is provided by International Council of E-commerce Consultants Inc. USA (EC-Council) known as Certified Ethical Hacker (CEH) The institute conducts courses and does the certification which is highly valued in the industry. There are several hacking and penetration tools available and information security career path experts need to intelligently deploy it to find vulnerabilities in a system. Since each cloud, website, server management, TCP/IP protocols vary from organization to organization. Daniel Miessler, a San Francisco Bay area-based information security career path technology professional opines that it is good to have a laboratory set up at home where the IS professional can start building his projects. It should ideally have the real server with VM are or VPS systems online (Linode, Digital Ocean). There are many things that can be installed on the lab such as proxy server, Kali Linux, build a website on Windows, set up an OpenBSD box, have a DNS server with DJBDNS. The lab is the breeding ground for projects – the first step is to identify a problem, find a solution and develop the tools required for it. 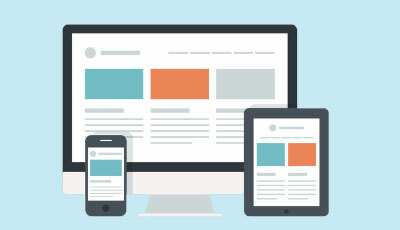 To be noticed by others, an IT professional needs to have a website to project himself, his knowledge and certification levels and the projects done. It will also enable companies to contact him when required for a solution. The IS professional needs to be seen in Twitter, FaceBook and LinkedIn to network with like-minded professionals and it is important to keep the profiles updated. It makes sense to follow professionals in the field, understand what they discuss and share. In the professional arena, it is vital to get a head start by associating with a mentor who has several years of experience in the field. They can not only guide you on the right path, identify potential areas to work on and also assess your strength in various areas of information security career path. Mentors can also help get you connected to the right people and perhaps help you land up in small projects, to begin with. Many large organizations and consultancies may be interested in hiring interns to work on projects and do some of the spade work. Help them with data analysis, writing blogs, or assisting a senior on a project. Here the objective is to get a feel for the industry and observe how things are organized and executed. Professionals can enhance their skills and knowledge importance of reading books, research papers, case studies, white papers on the topic you are specializing or interested in. 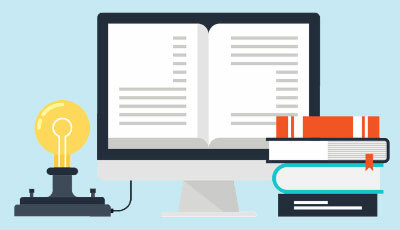 A lot of books are available on internet security, cyber security, information security and ethical hacking, which can be ordered online from Amazon or other sites. Conferences can be good venues for networking with other professionals. Demand outweighs supply of cybersecurity jobs, according to US Bureau of Labor Statistics. There were as many as 209,000 jobs vacant in 2015 that went unfilled. Forbes predicts about one million cybersecurity jobs to be available in 2016. Opportunities are emerging in government, large and small businesses as they increasingly implement IT and net-based solutions. With the cost of a cybersecurity breach rising to $3.8 mn, organizations are willing to spend more to protect their data and networks. Some of the entry-level to top information security jobs include Chief Information Security Officer, Information Security Engineer, Security Manager, Computer Forensics Expert, Malware Analyst while at the entry-level university graduates with an interest in technology can join the information social security careers business development business with attractive salary and commission. At the entry level Risk Consultants interested in working in the areas of compliance, risk management and governance are also sought to deliver solutions for large and complex government organizations. Large organizations such as General Motors are also seeking information security professionals skilled in risk management, information security strategy, threat analysis, data protection, cyber forensics and other related information security skills. Information Security analysts need to have experience in implementation of networking – routers, switching, setting up firewalls, intrusion detection, and prevention systems. Ideally, the candidates need to have two years or above in security implementation with appropriate industry certifications. At the mid-management, information security engineers build and maintain information security solutions such as configuring firewalls, testing, do an investigation into intrusion and report to the manager. The requirements of the job include expertise in vulnerability, penetration testing, encryption, decryption and web, networking protocols. Teamwork: In IT industry no information security projects can be implemented on individual brilliance alone but requires teamwork and coordination. Hence companies look for people with adequate communication skills to develop working relationships with peers in the company and with clients. Understand and talk business: According to Daniel Miessler, IS expert, most technical people lack the ability to understand business and talk about the benefits of security implementation in terms of return on investment. They should be able to quantify to the top management of the company how much risk in dollars is possible on account of non-implementation of security measures and how much it would cost to mitigate the risks. Presentation skills: An information security specialist should be good at making presentations before an audience, one-to-one business talks and well-groomed. They should be impeccably dressed, avoid casual t-shirts, gym shoes. Dress in formals or in quality dark jeans with good quality shoes to supplement. Speech should be concise and clear to avoid any ambiguities. Exhibit passion: Passion is infectious and if you are seen to be passionate you can lead a team, convince the management about the budgets, and also the clients about your competence and interest in handling their projects. Those technically skilled but appearing passive and less-communicative may risk losing projects or not getting any at all. Develop leadership skills: The entry-level and mid-level information security experts have to slowly rise up in the organization to hold challenging roles and it is very important to develop leadership qualities along the way. The job of an information security professional is quite comprehensive needing good grounding from the basics to the cutting edge technology involving cyber forensics. However, with more and more universities and professional bodies offering information security courses, it is no longer difficult to get information security training in this complex area. And it is also offering several challenging assignments for IT professionals. Now cybersecurity jobs give 54% more remuneration compared to an average US anesthesiologist with annual earnings of $246,320. In US Technology job rankings, information security analysts have emerged as the fifth best and 34th best among 100 best jobs. Earlier, many organizations and individuals were keen to take action only an incident of the social security careers breach due to lack of awareness about hacking and viruses. However, there is growing evidence that with the availability of trained manpower, better tools, increased risks due to unexpected attacks, the spending on social security careers measures is growing up steadily thereby giving ample opportunities for talented professionals in information security systems to rise up in the career and continue to be in demand in the foreseeable future. Unlike many other IT jobs, independent consulting in information security is also a lucrative option for trained, certified experts in this field. With social media such as LinkedIn and blogging enabling more people to get noticed on the basis of their talent, social security careers professionals indeed have a good time ahead. 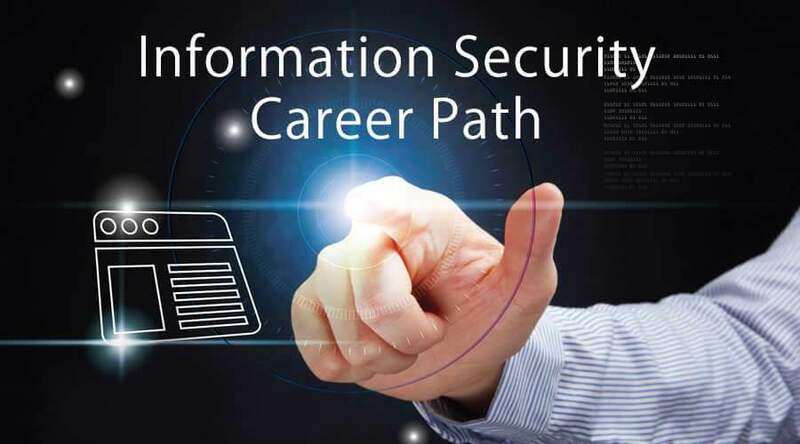 So here are some article that will help you to get the more detail about the information security career path, social security careers and also about the security career path so just go through the link which is given below.